There are some stories about cancer that are utterly tragic and justify the fear and dread that swirl around the word. 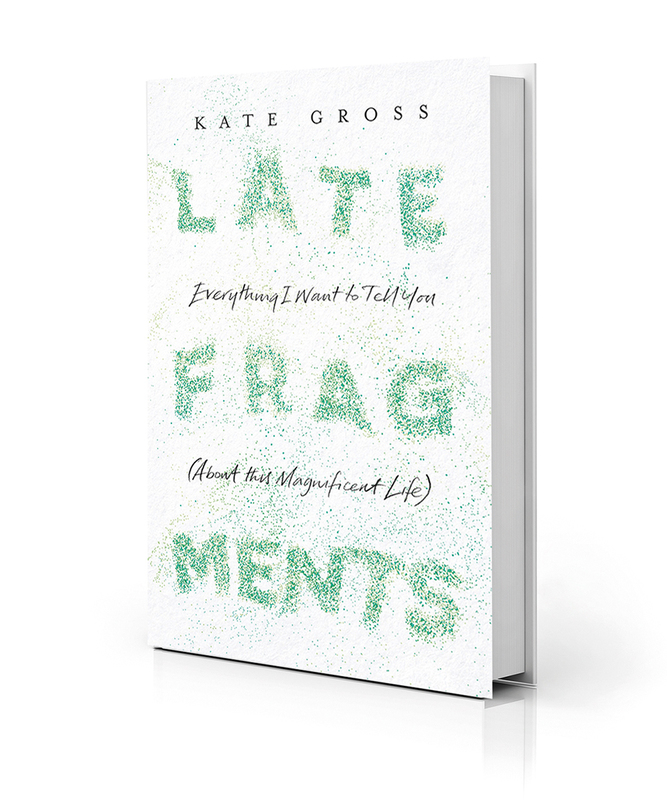 I think Kate Gross’s story is one of those. She was a high-flyer who worked for two prime ministers in her 20s. Aged 30, she was CEO of the African Governance Initiative, working with fragile democracies across the continent. She was married with twin boys. Then when she was 34, she was diagnosed with bowel cancer after it had spread to her liver. She died two years later on Christmas Eve last year, just before her boys came down to open their stockings. I can so identify with her words. I earned my living from writing for 12 years, wrote a an award-winning charity blog for five years, have written lots of youth work resources and one proper book, and yet you can see from this blog how intermittent that writing had become. I had little to write about and no time to write it. Cancer has given me back that desire to write to try and make sense of what is happening to me. I write in my previously neglected journal every day, sometimes two or three times, and you get the edited highlights here. I write in my journal the things that I can’t even say to anyone else, the darkest thoughts, and then I look back the next day and realise that I’ve moved on, that things are not that bad, but that somehow putting them into words and writing them down released their power over me. And writing here has stripped away the sense of isolation that I felt when I first heard my diagnosis. Early on I wrote in my journal, ‘Cancer turns you into an exhibit. You slip into a parallel world where things are not what they were and people observe you with pity to see how you are coping.’ I still feel sometimes like I am in a completely different space, but I know that so many people have entered that space with me rather than watching from a distance. We all struggle with what to say when people we love face something like this and I am so grateful for every comment here and on social media in response to what I write, and all the emails, texts and phone calls. Everyone has to deal with cancer in the way that suits them and not everyone chooses to do it in public. But this suits me and has led to the most amazing conversations and connections with people. Cancer has disrupted my plans, my sense of identity, my knowledge of what I am physically capable of, my place in the world but it has also given me back the desire and the time to write and for that I am hugely grateful. It has shown me that people love me more than I ever knew. I have found going back into the second round of treatment really hard, but I know I am not alone and that means the world to me. Love reading your blog, very inspirational. When I read your words I think of ‘courage’: you are telling the story of who you are with your whole heart! Thank you for your words. Be blessed! I have just found you via our Twitter page. I am reading your blogs now and love what you do. I think your work and achievements are incredible. My name is Lorraine Lewis and I run a charity in Northampton called The Lewis Foundation. We (me and my husband Lee Lewis) are a charity based in Northampton that donates 80 gift bags a month to adult cancer patients in Northampton General Hospital. We offer 10 difference gift packs, which range from reading, beauty, adult colouring books and radios. These packs are free of charge and the patients can pick which one they want. They can be a day patient, over night patient, short or long term stay patient. We set up in May 2016 and so far have donated 640 gift bags. We set the charity up as lee’s mum spent a lot of time in this hospital with Non -Hodgkins Lymphoma Cancer. We noticed how sad and bored patients looked when they didn’t have visitors. Some, did not have family or friends to bring them something in. Would you be interested if we did a blog post about you and your book for our website and social media. A lot of our fundraising is through fitness and inspiring others to take part of all backgrounds, illnesses and disabilities. I think what you do and the message you send will inspire others.